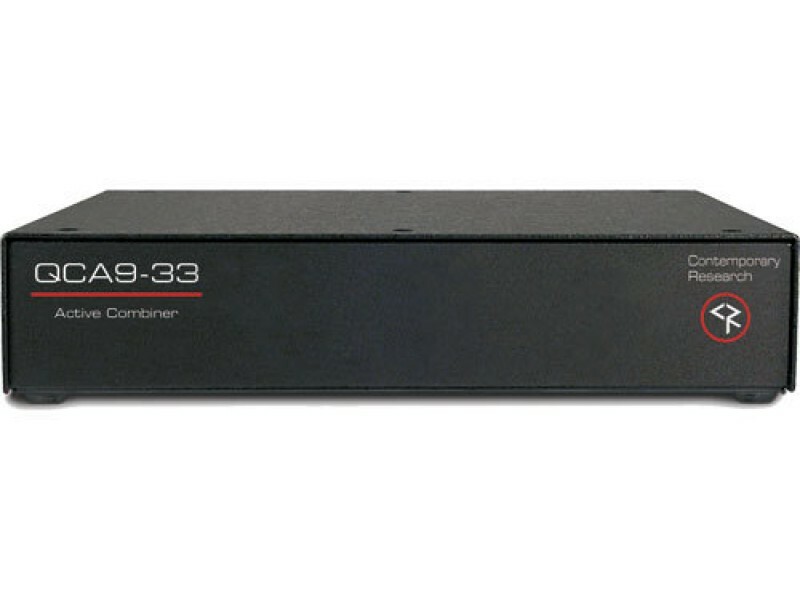 Contemporary Research QCA9-33 Active Combiner is an active RF combiner that features eight high-level inputs and one low-level input, combining with high isolation and amplifying up to a 33 dBmV output level. 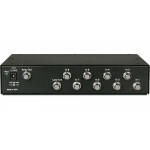 Designed for QMOD HDTV applications, the eight RF inputs typically receive 29 dBmV RF from QMOD HDTV modulators. 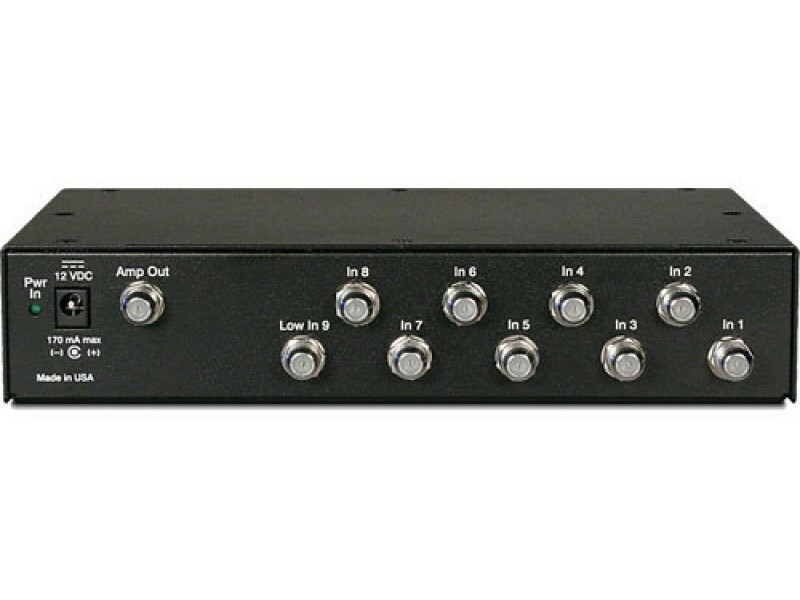 The ninth input is for up to 19 dBmV RF signals, such as incoming cable feed, a control channel from an ICE-HE Head End control modulator, or another QMOD or QCA9-33. Up to 8 QCA9-33 combiners can feed a single combiner to deliver up to 76 channels. The extremely low-noise, wideband 860 MHz amplifier compensates for combining losses and adds 3 dB of gain, typically supplying a total output of up to 33 dBmV. Employing new RF technology, the QCA9-33 delivers higher isolation, quality, and noise performance over analog-era components; the noise factor is a very low 1.8, four or more times less than other active combiners. 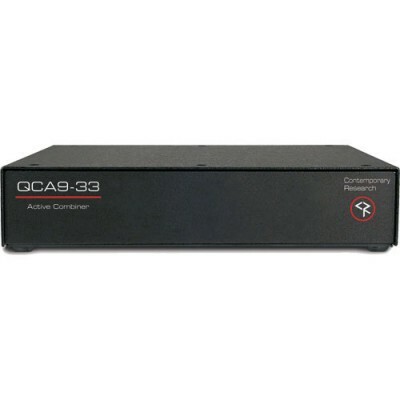 The compact QCA9-33 mounts two-across in a single rack space using CR RK1 and RK2EZ rack kits, and can be mixed with QMOD HDTV modulators using the same rack kits. The units are wholly designed and manufactured in the USA.